M. Volteius M.f. was one of the moneyers for he year 78 BC. He is not otherwise known. 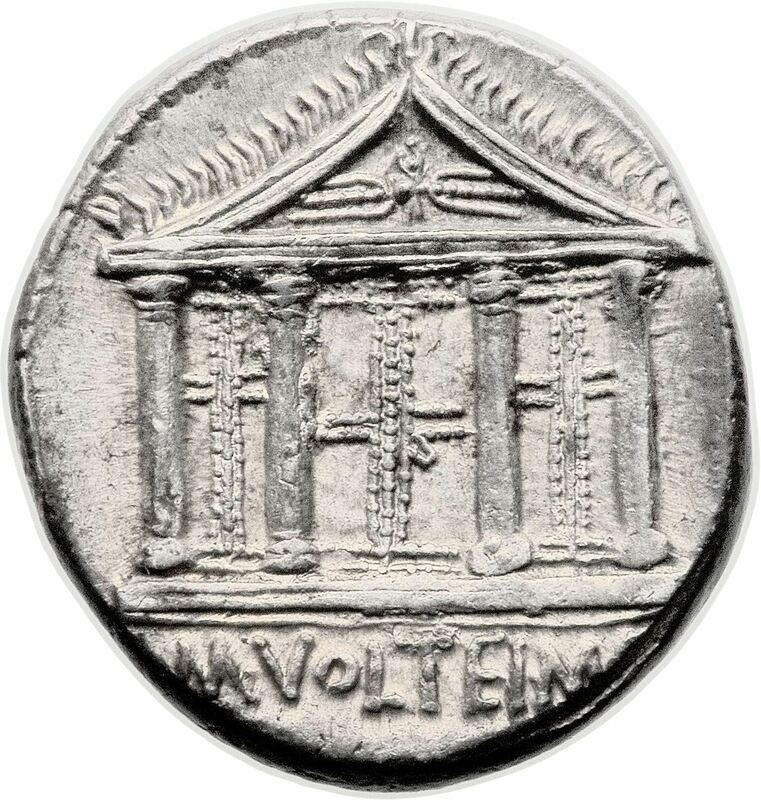 Gens Volteia is known primarily from coins - the sole exception being an L. Volteius described by Cicero as propraetor in Siclily. The coins of M. Volteius are always interesting - great designs, beautifully struck, and in a fine style.